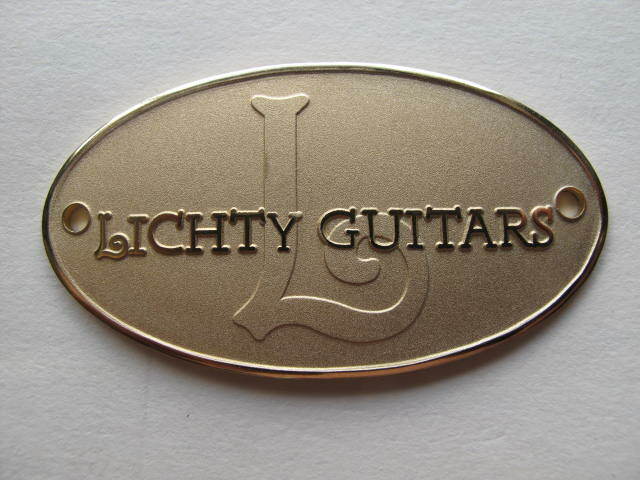 What is a luthier you might ask? 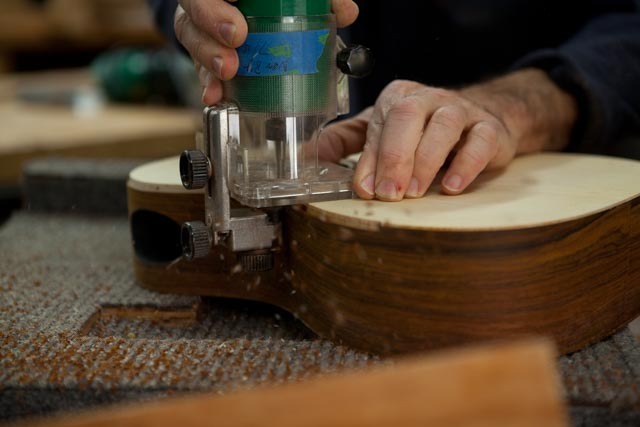 A luthier is a craftsman who makes or repairs stringed instruments such as guitars, ukuleles, violins or banjos. 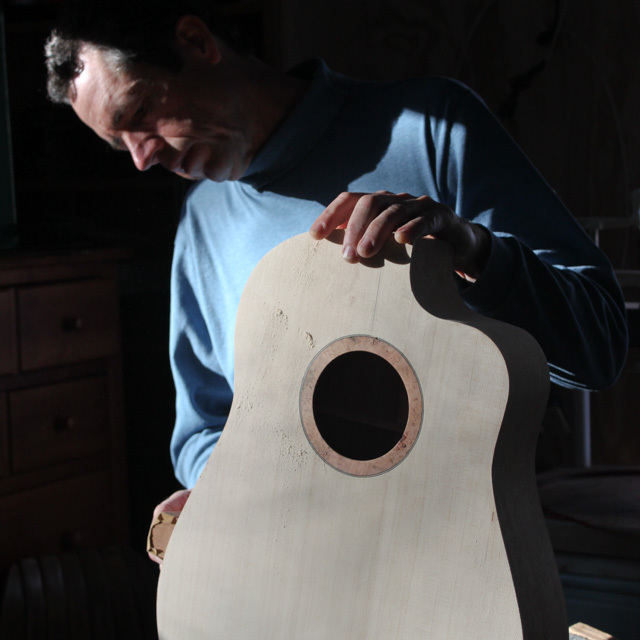 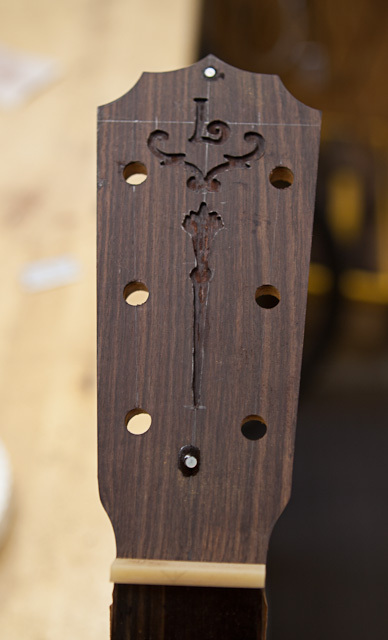 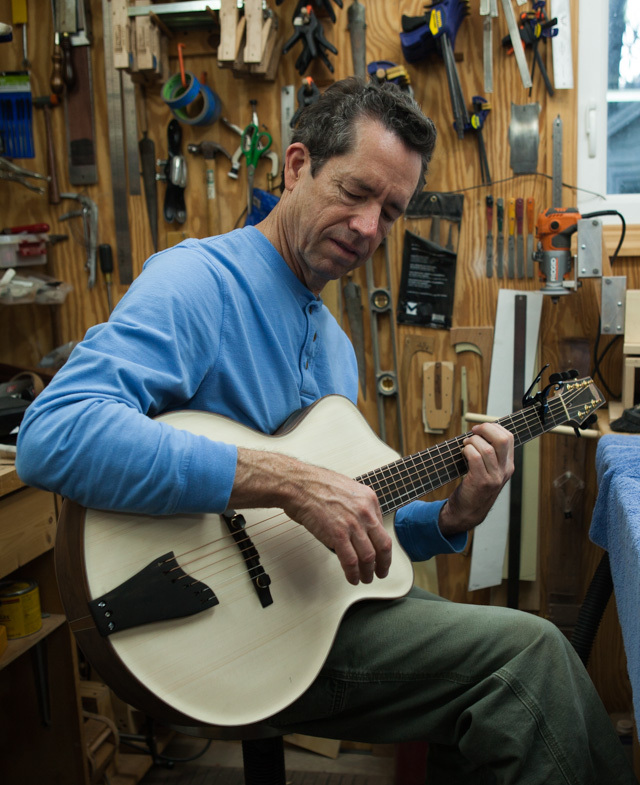 The origins of the word luthier come from the French word luth, which means lute. 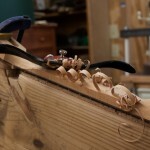 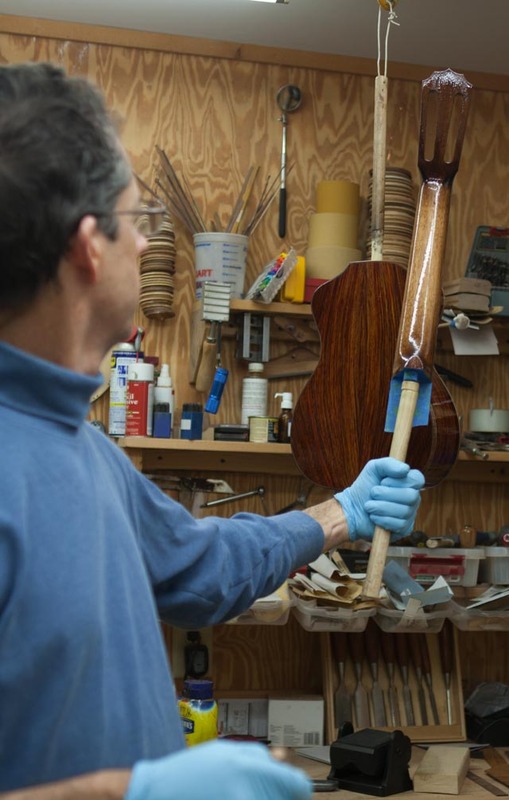 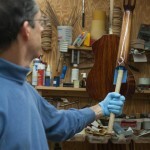 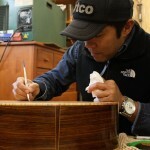 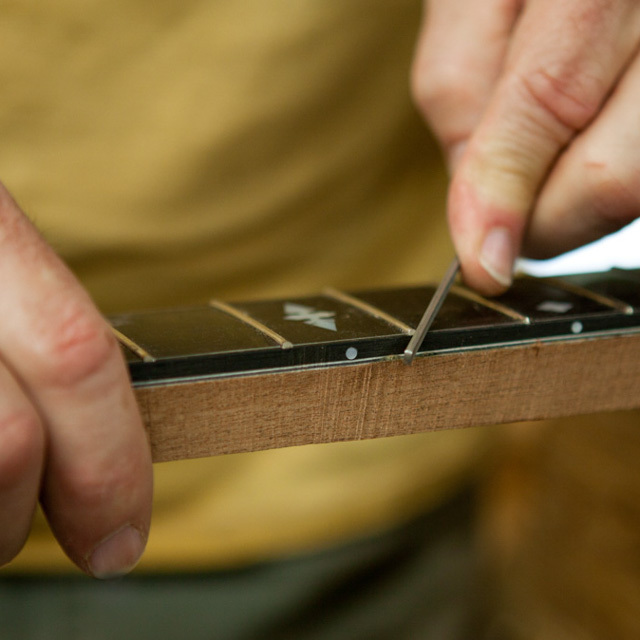 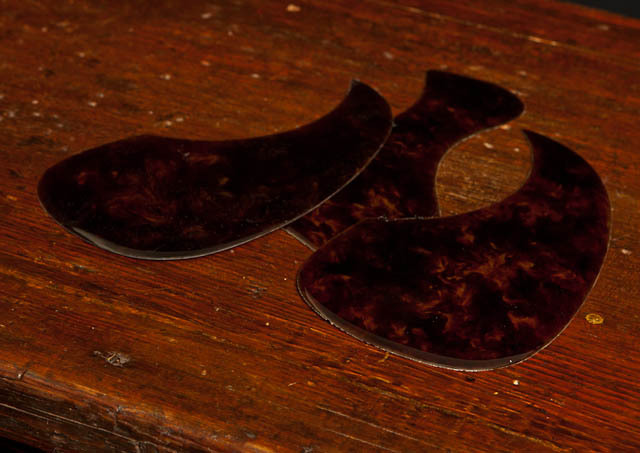 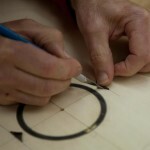 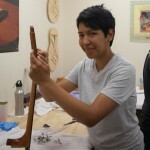 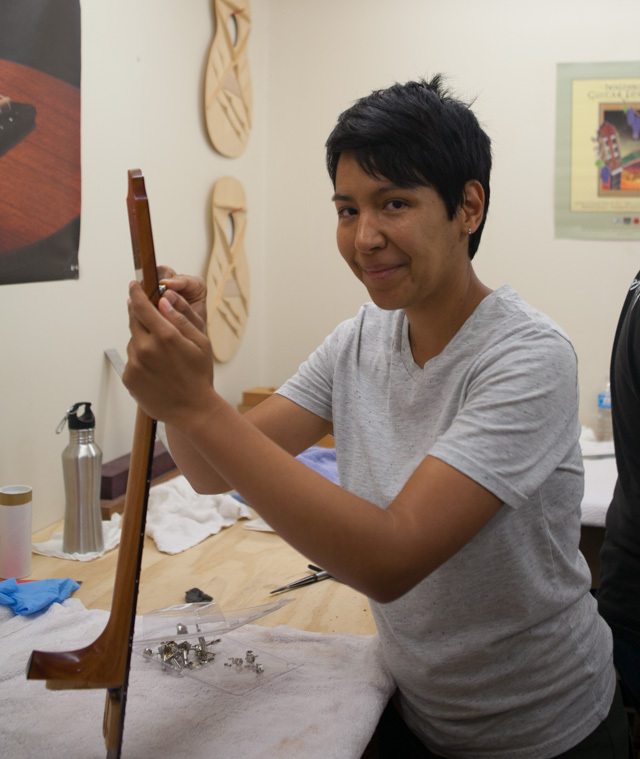 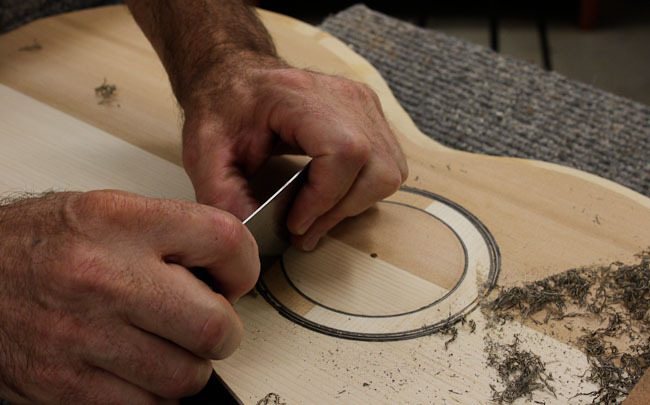 The craft of making and repairing instruments is a centuries-old tradition. 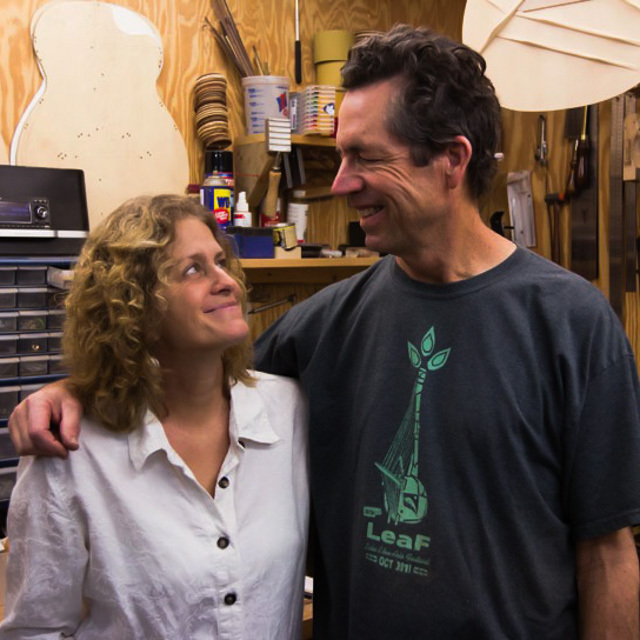 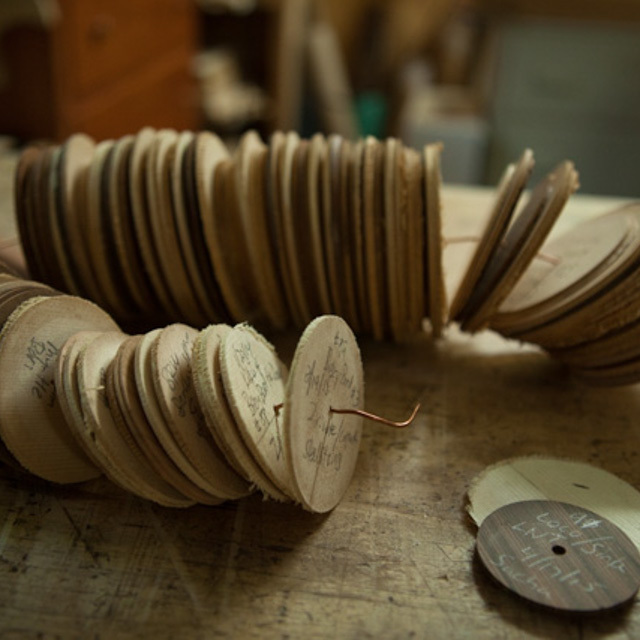 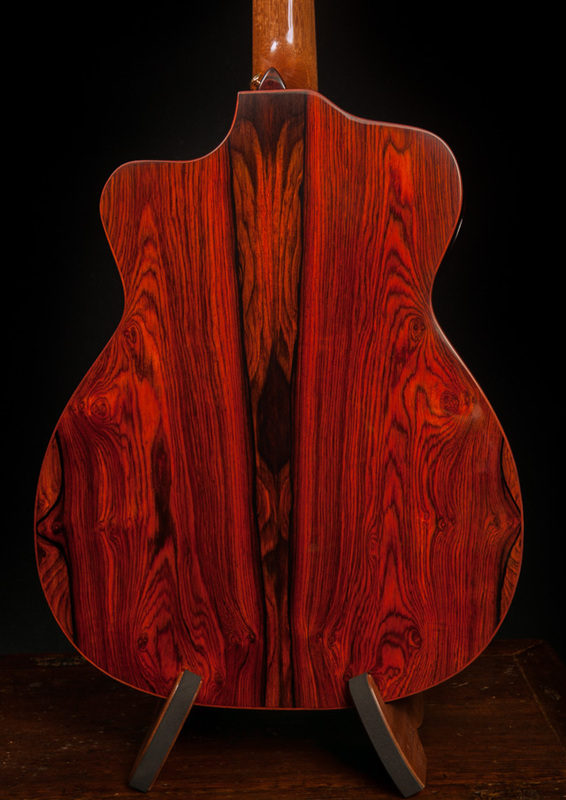 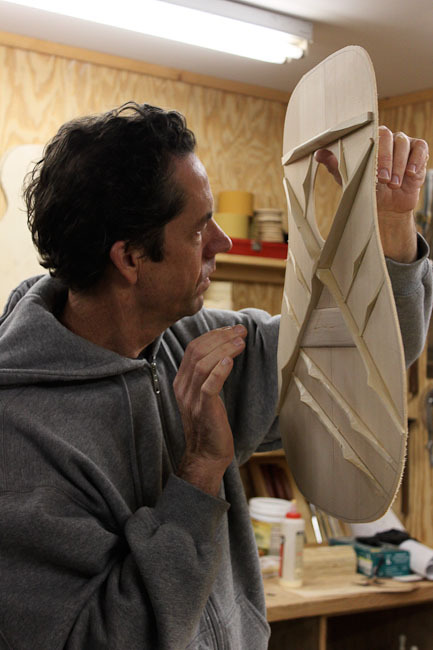 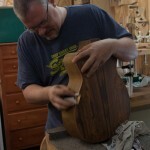 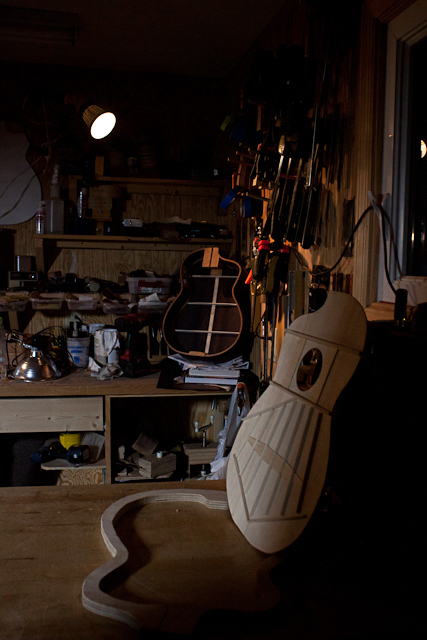 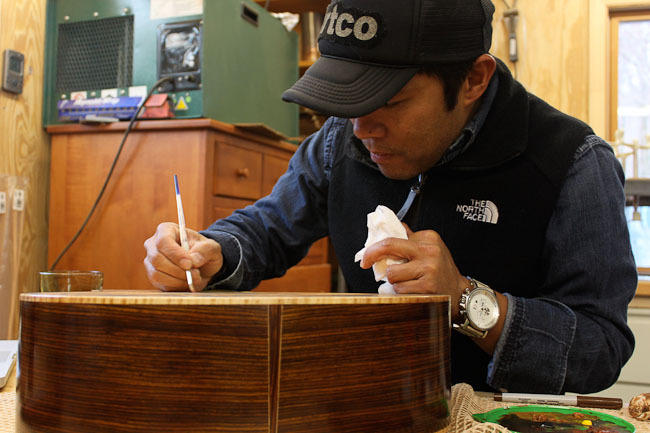 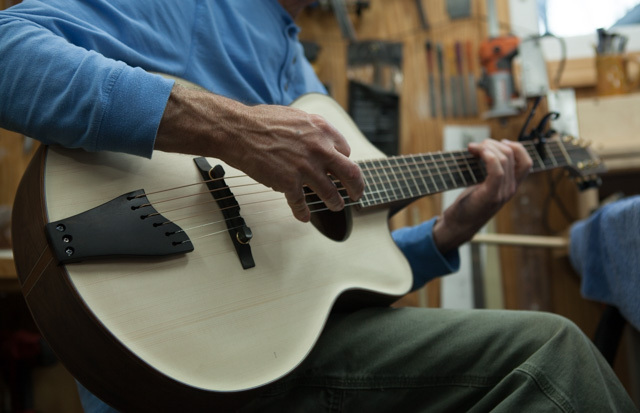 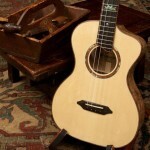 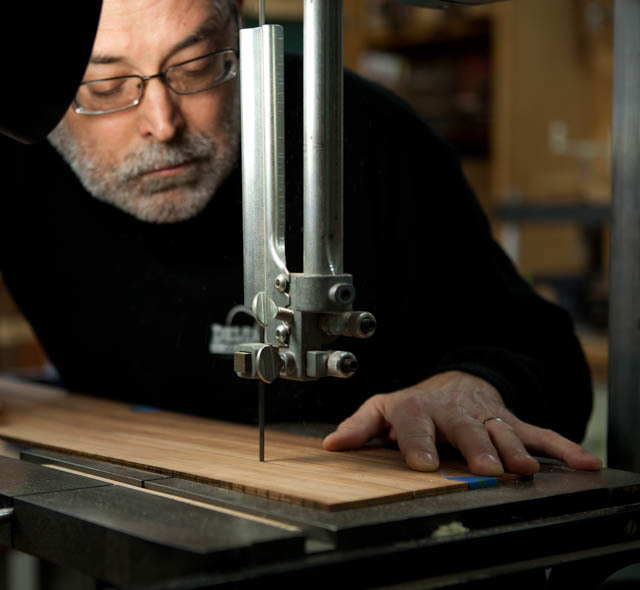 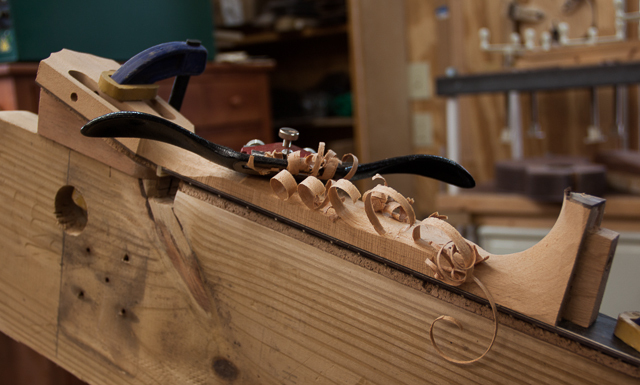 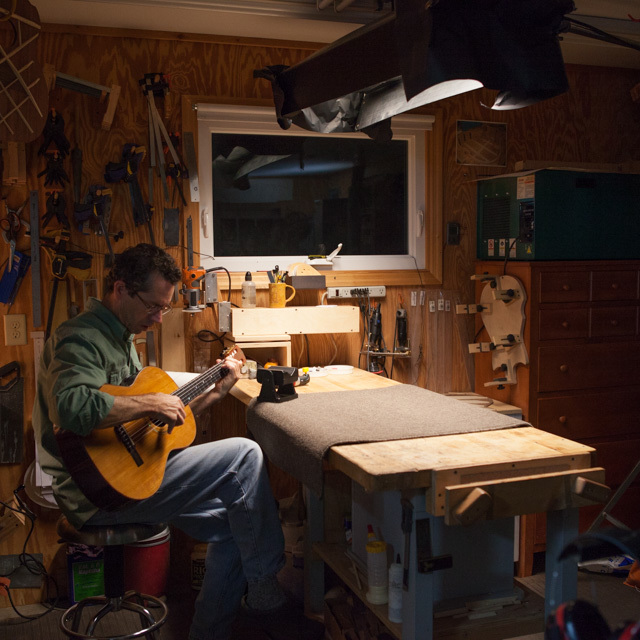 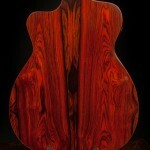 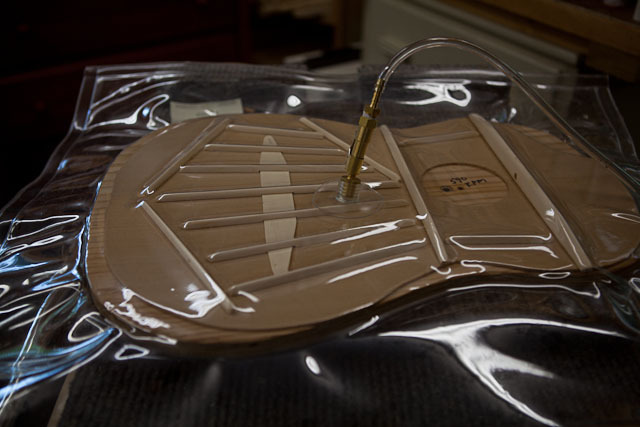 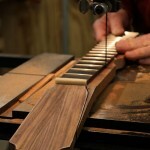 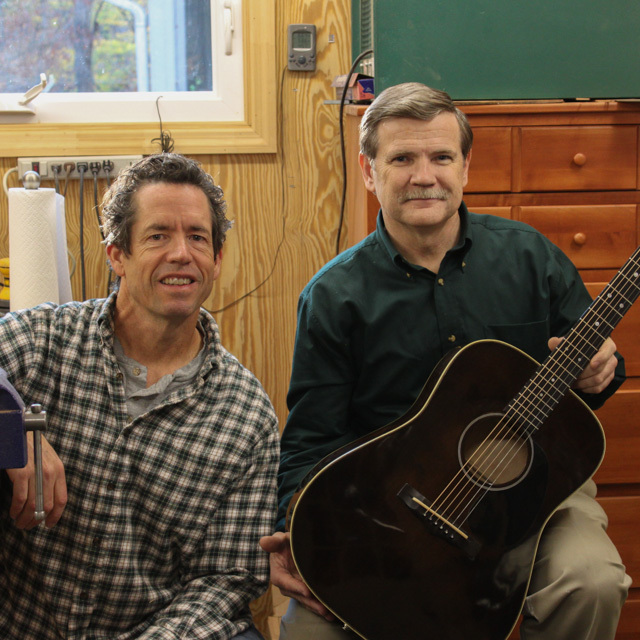 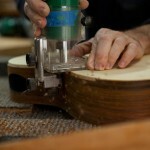 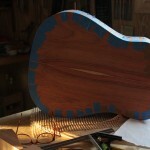 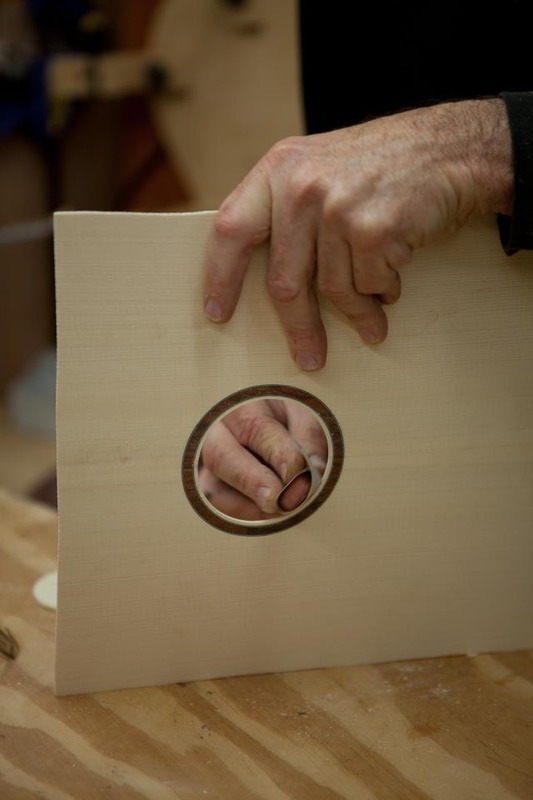 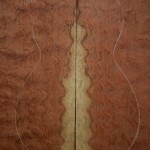 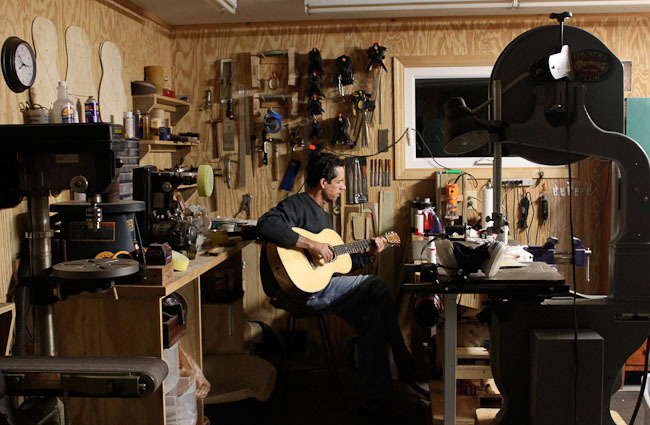 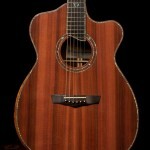 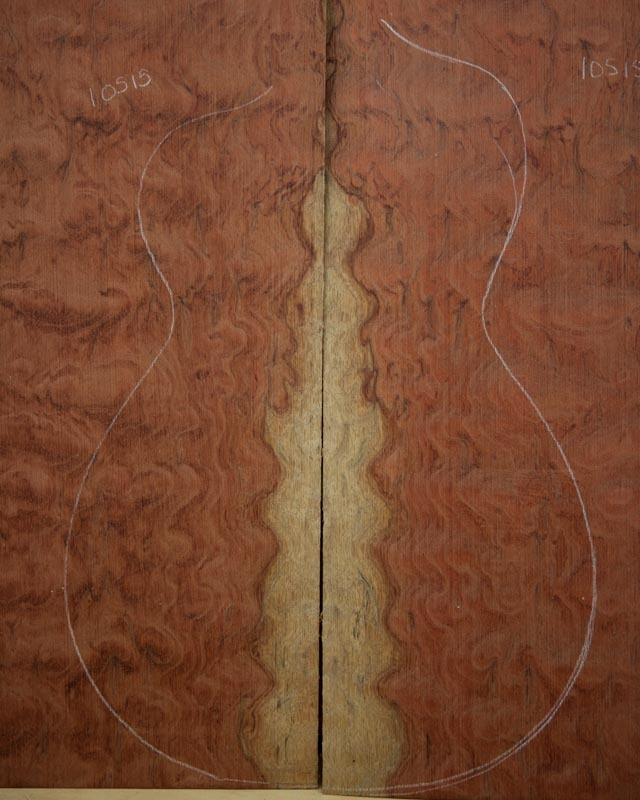 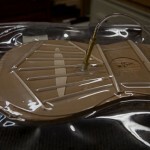 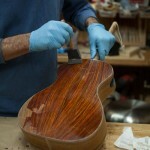 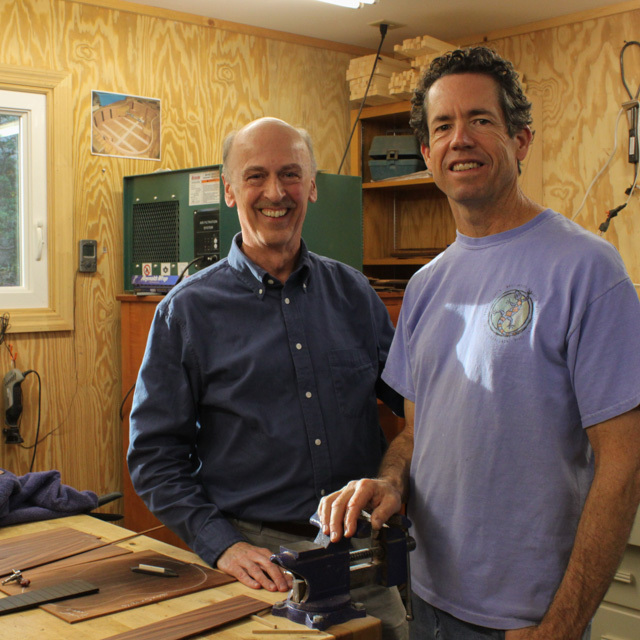 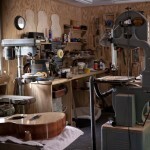 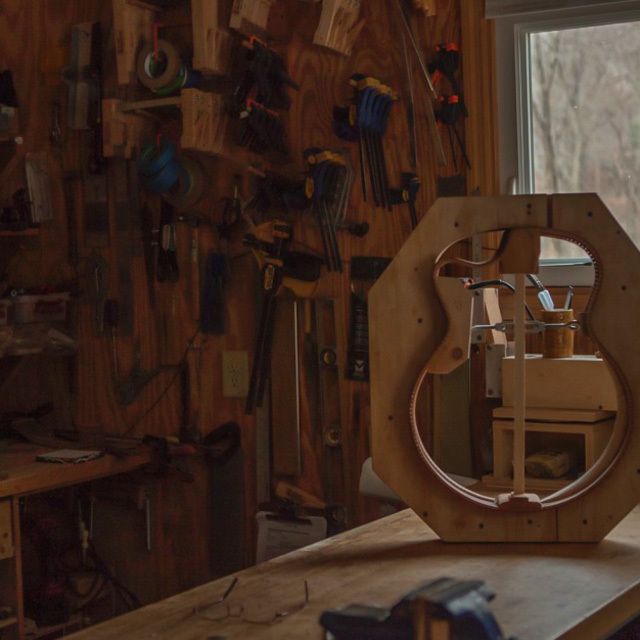 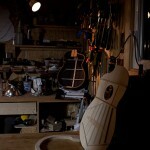 Step inside the shop of this luthier and you are sure to see dust flying. 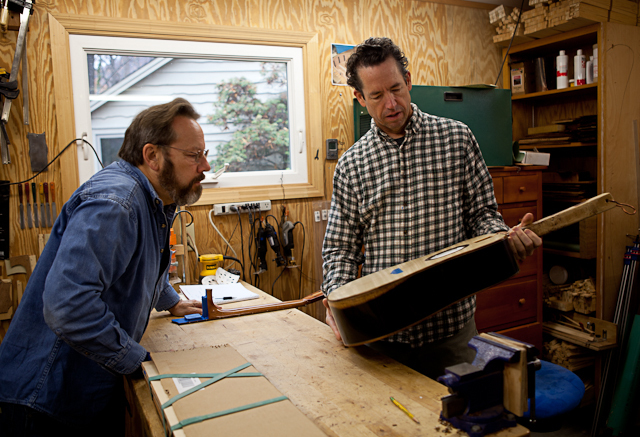 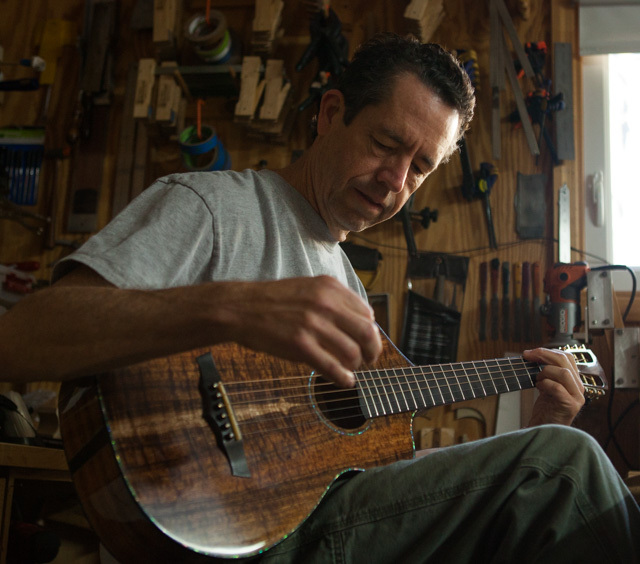 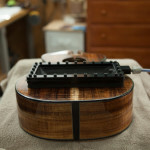 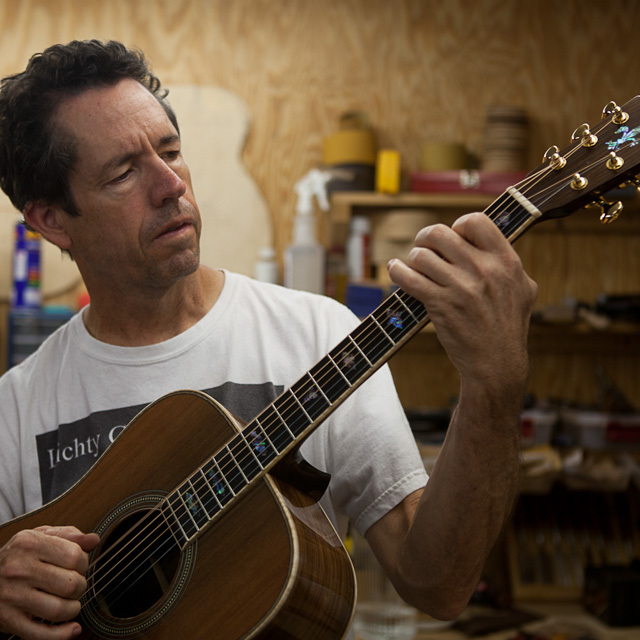 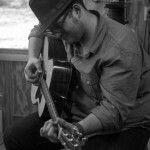 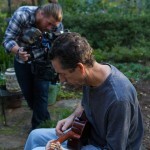 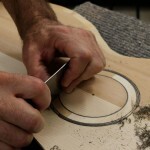 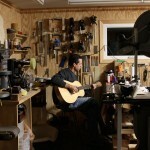 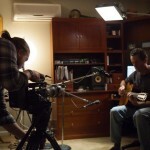 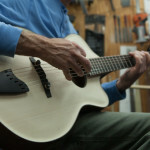 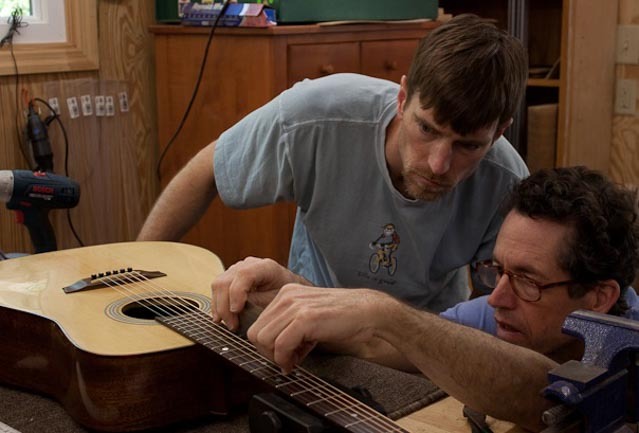 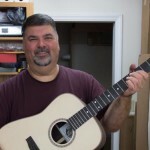 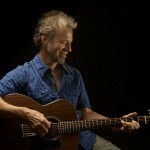 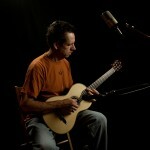 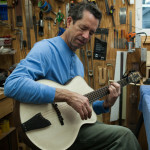 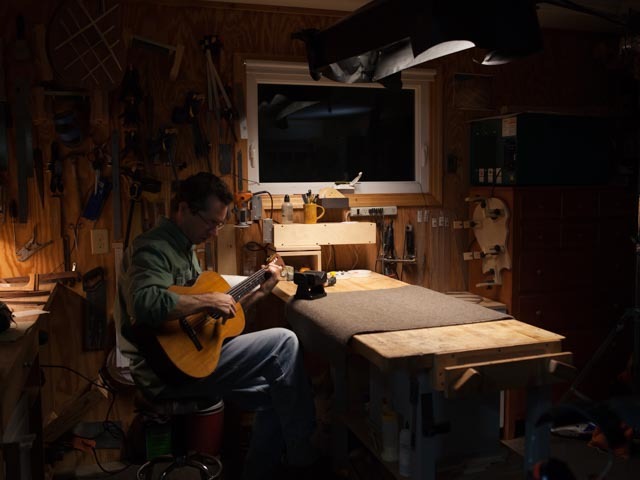 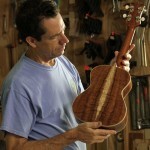 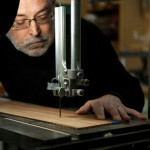 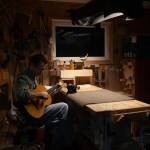 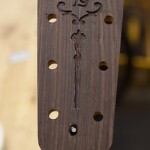 On any given day Jay could be diving into the design of a new instrument, opening and stacking the latest shipment of guitar tonewood, building a new jig, carving bracing for a custom ukulele and/or you might find him putting the strings on the latest custom guitar and playing that very first tune. 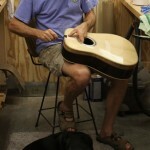 Oh, and he is sure to have a smile on his face! 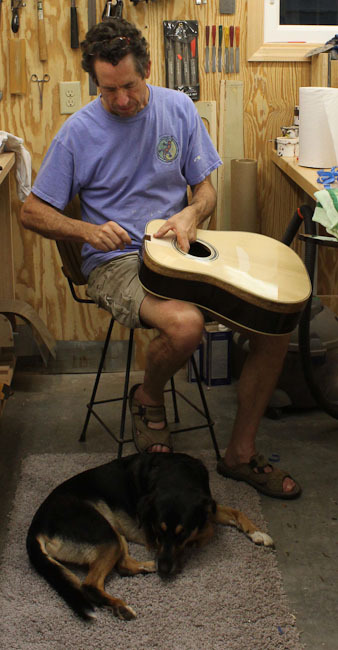 Jay built his first instrument, a ukulele, in 2009. 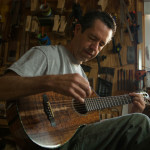 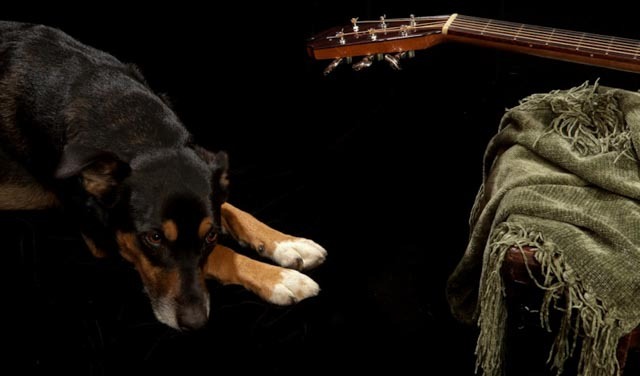 Since that time he has been a full-time ukulele and guitar luthier and as of this writing, he has put strings on over 250 instruments. 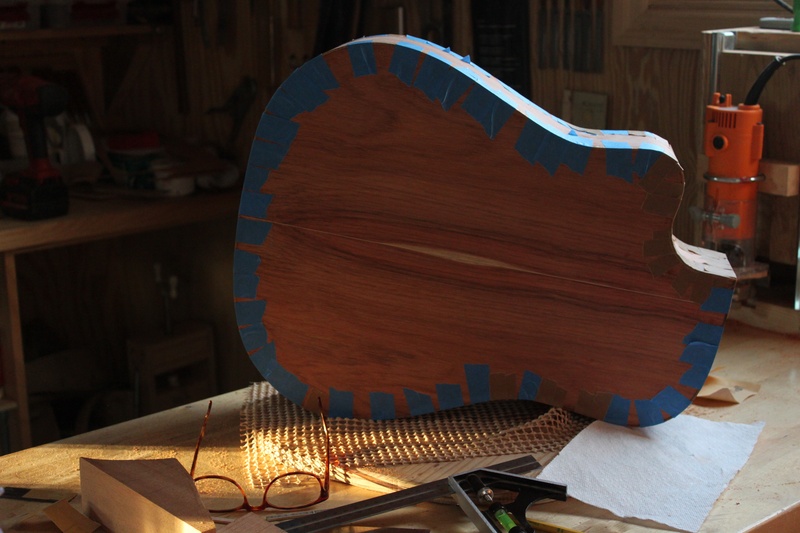 It’s pretty fun to see what’s happening on the workbench at any given time. 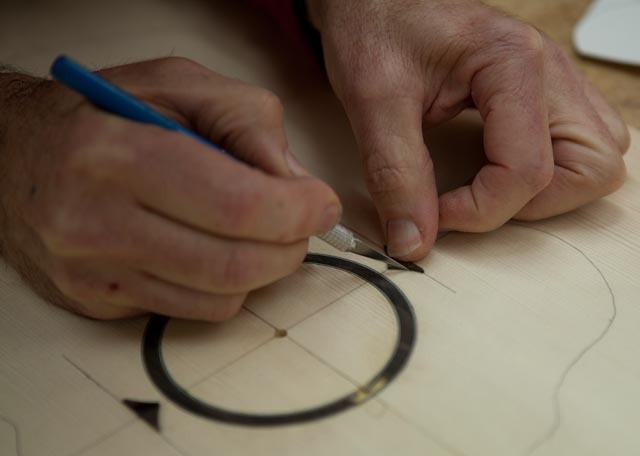 Catch the latest via our feed – Works in Progress. 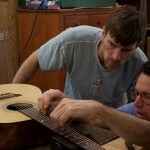 Does Jay teach workshops in guitar and ukulele building? 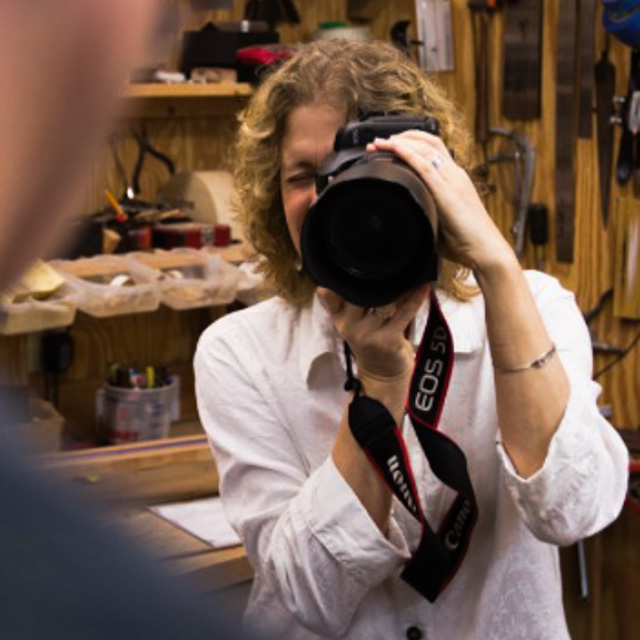 We get this question a lot. 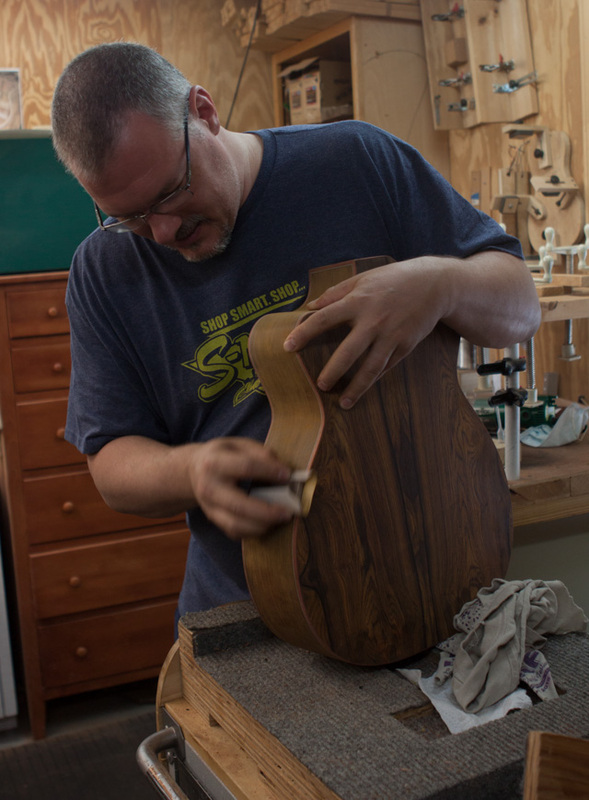 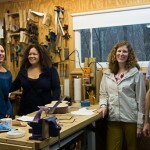 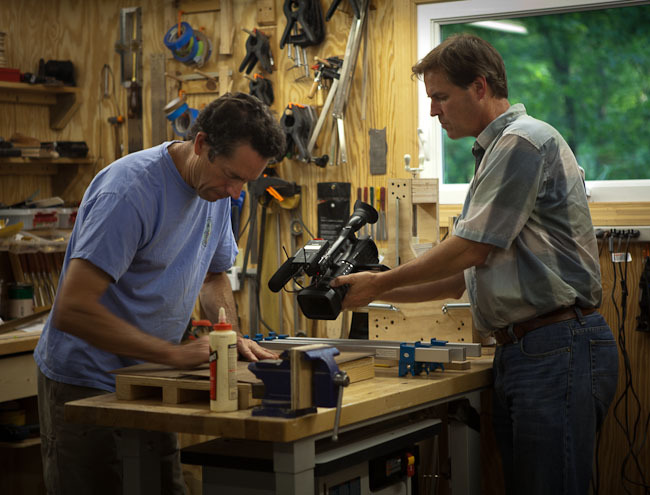 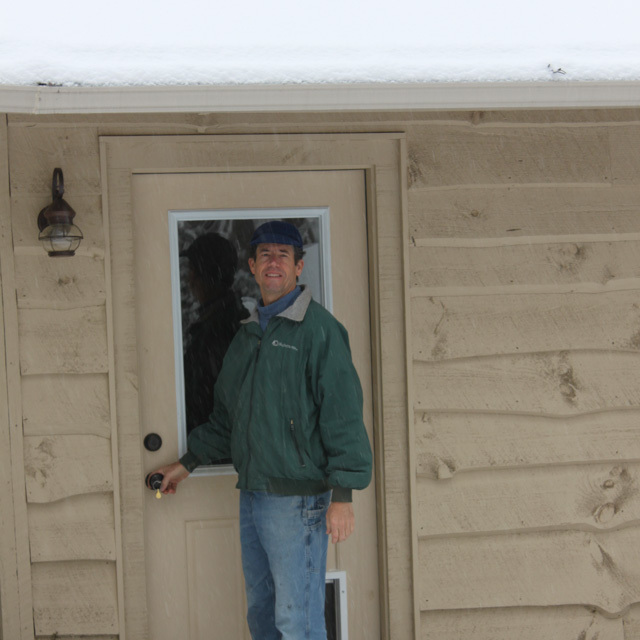 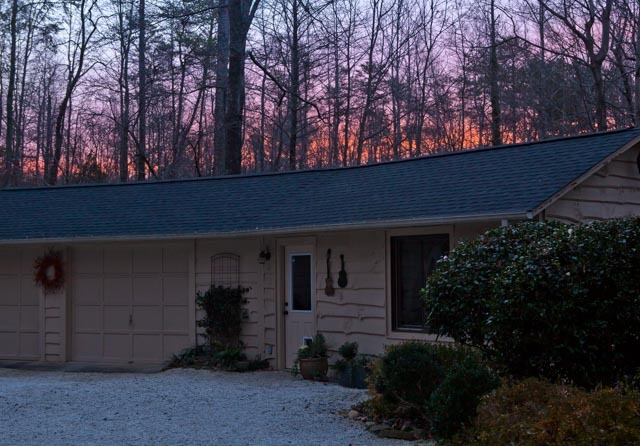 While he has taught many many folks through both one-on-one and group workshops, he currently has such a full build schedule that he is not teaching at this time. 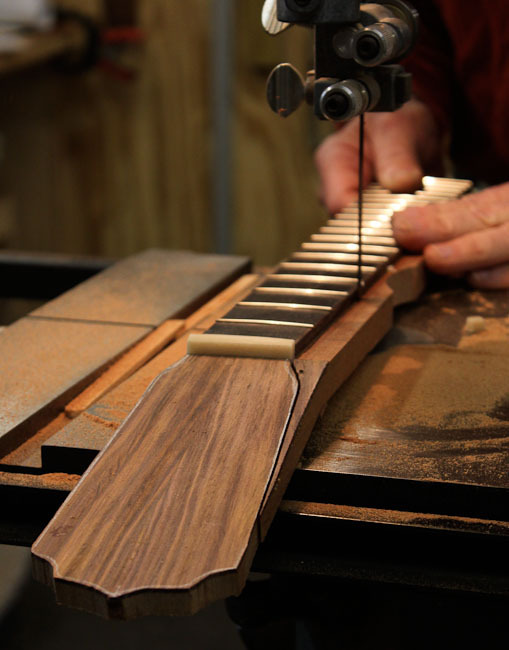 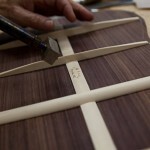 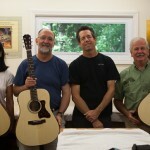 For updates and suggestions on learning opportunities check out our page – Guitar and Ukulele Building Workshops. 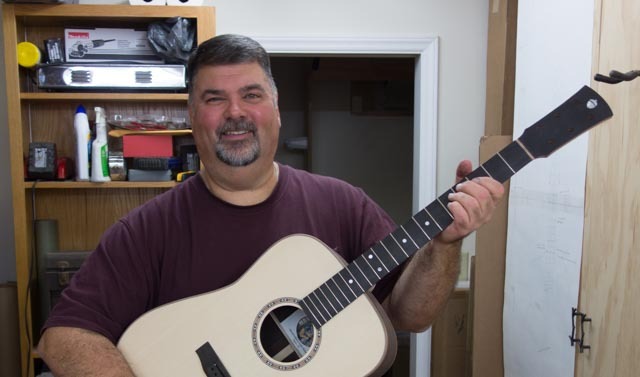 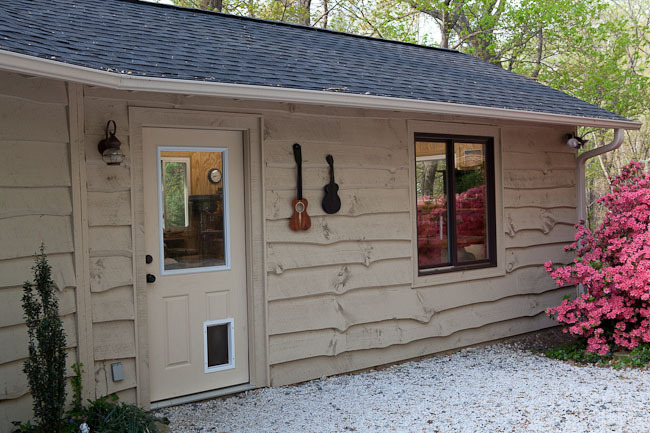 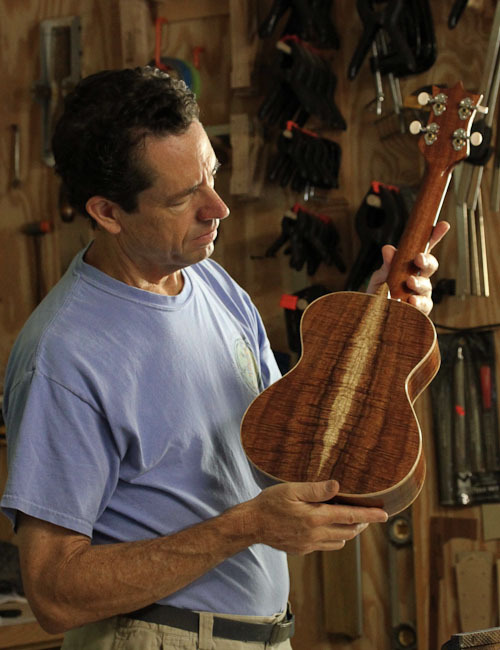 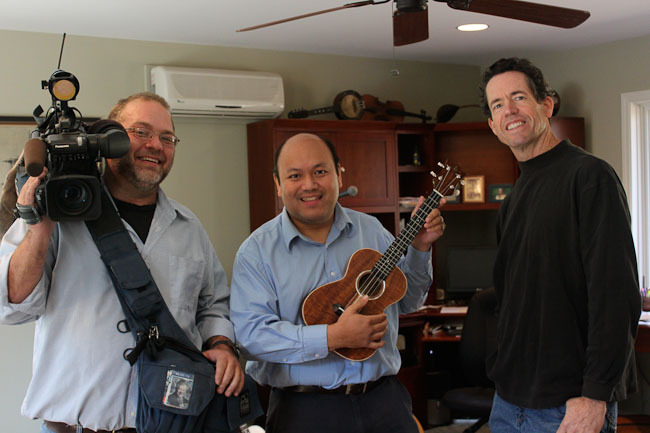 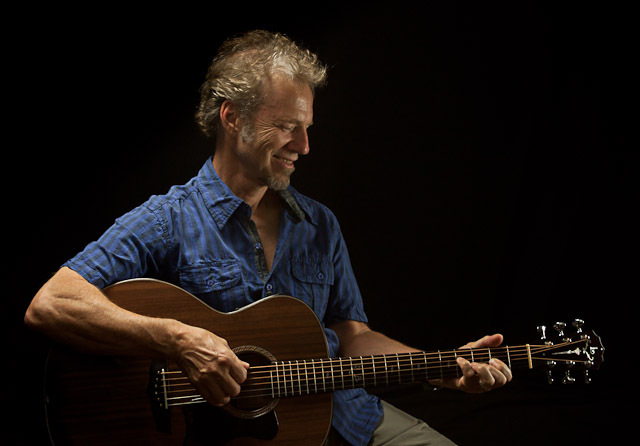 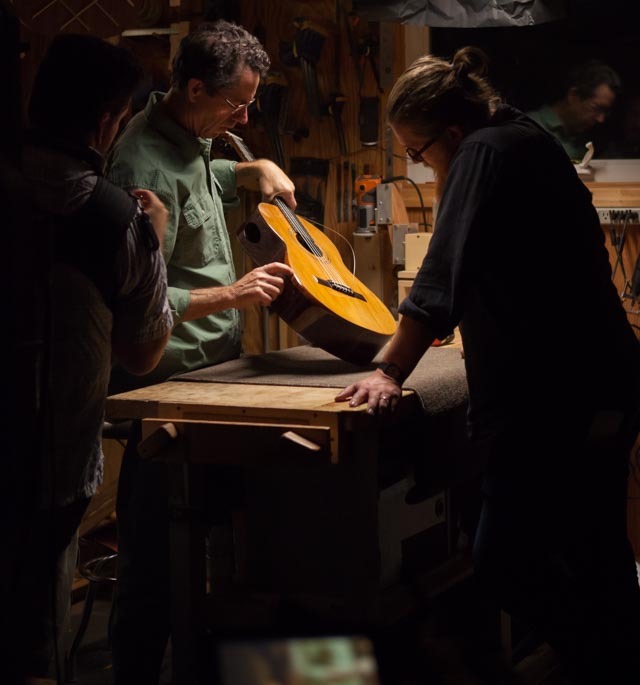 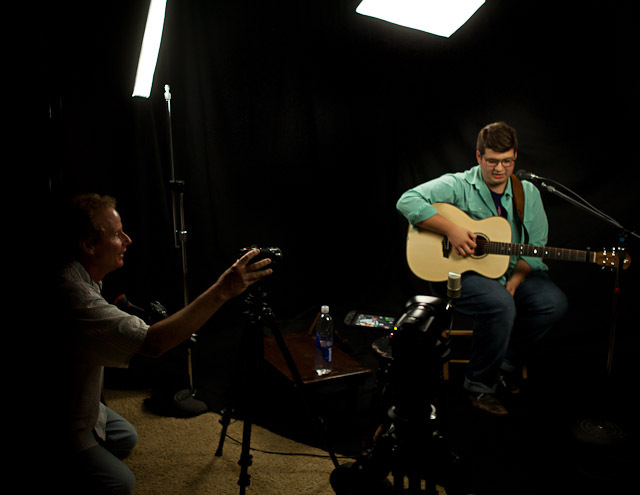 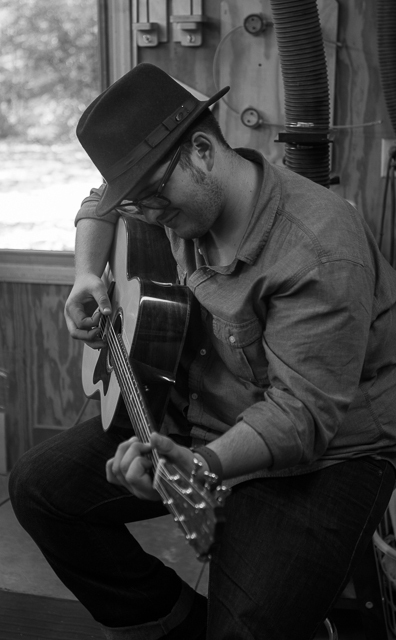 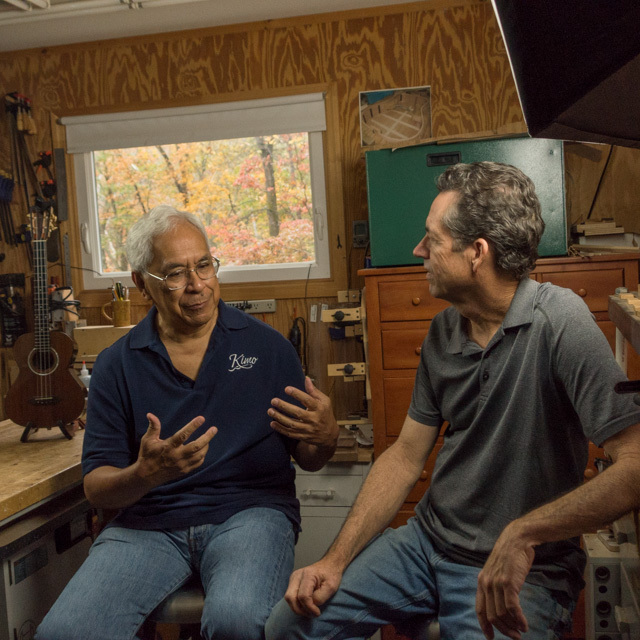 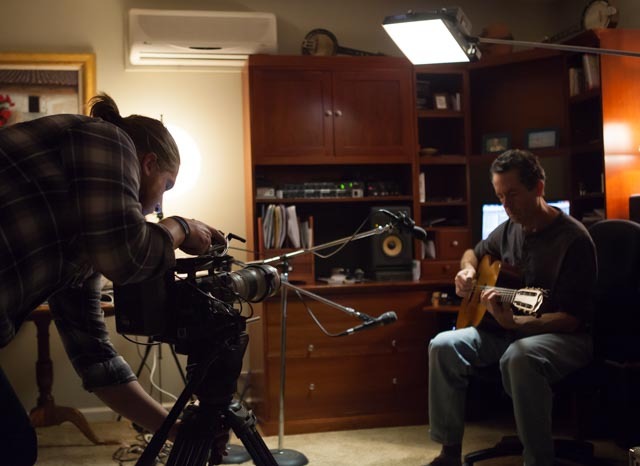 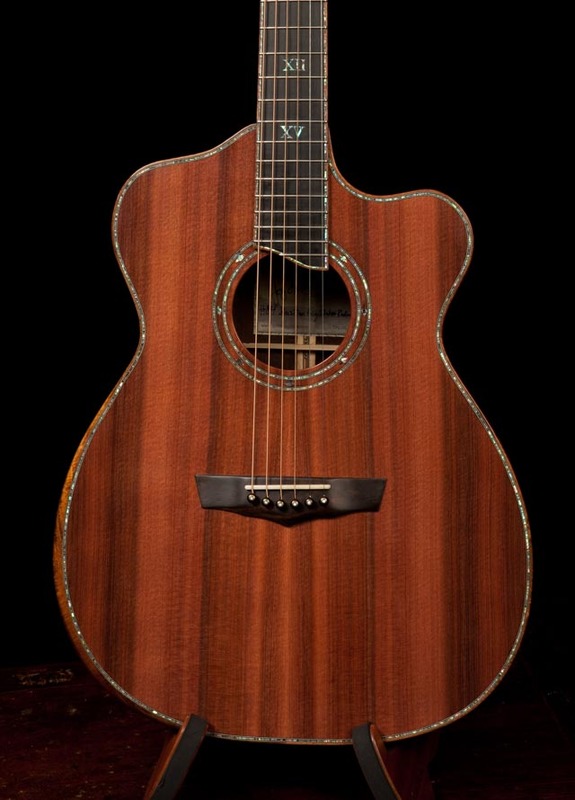 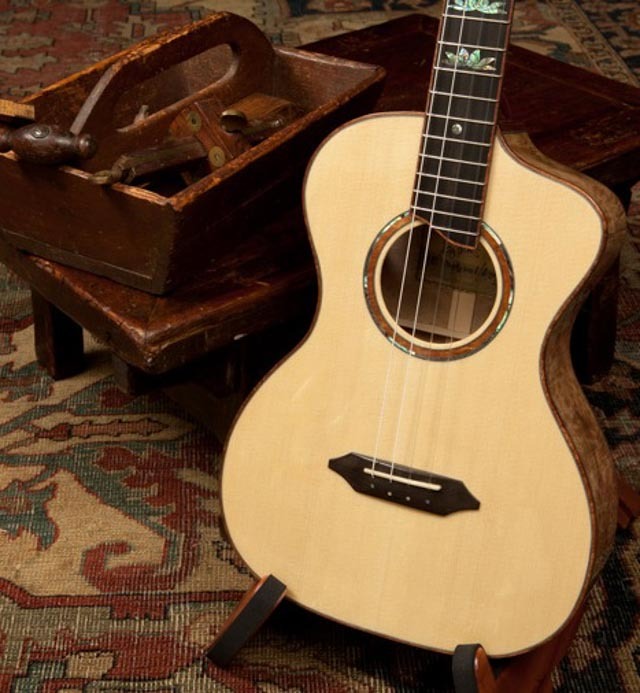 If the idea of working with Jay to design your dream guitar, ukulele, fiddle or viola is intriguing to you we invite you to learn more by visiting our custom acoustic guitar page, custom ukulele page or custom fiddle page. 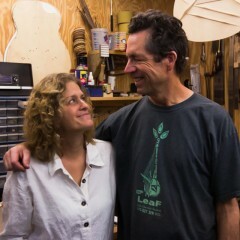 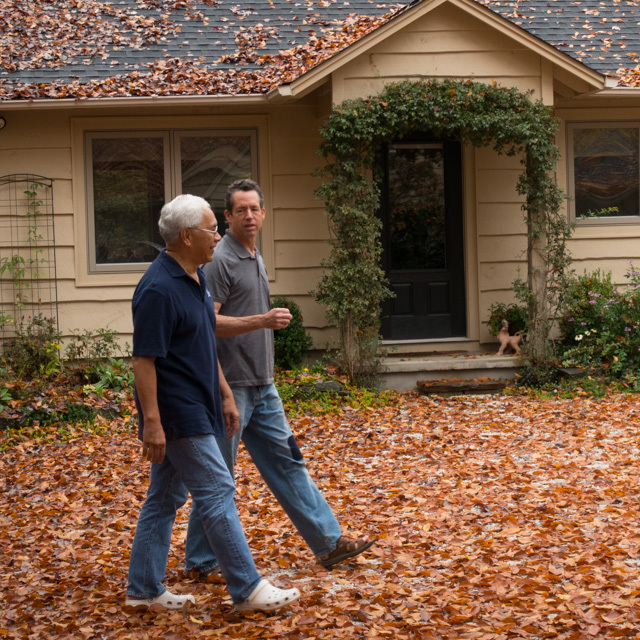 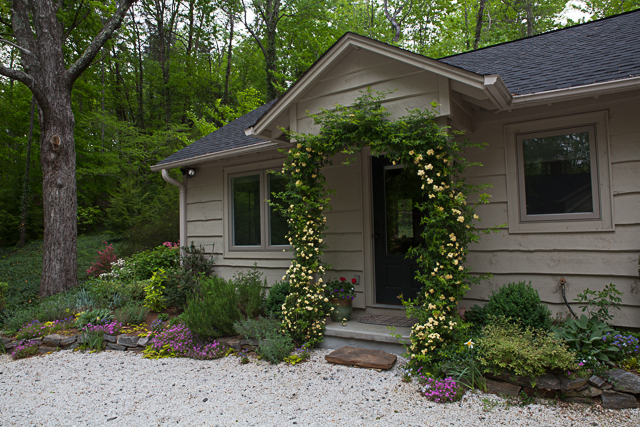 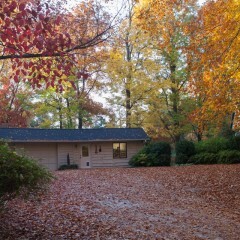 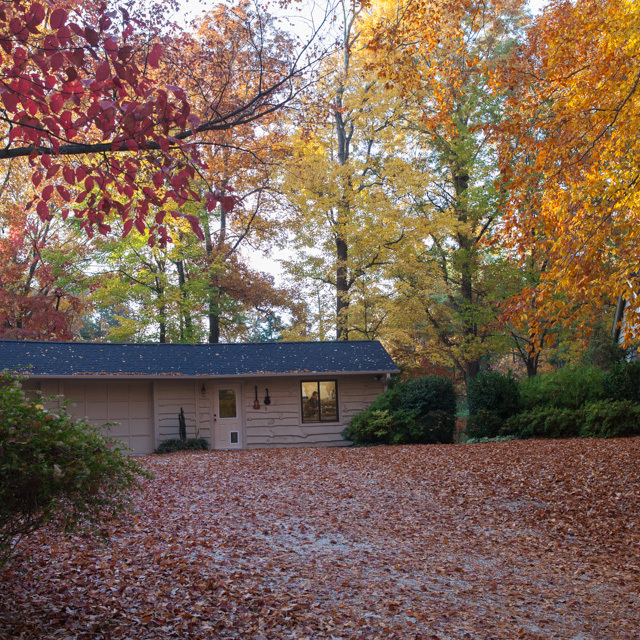 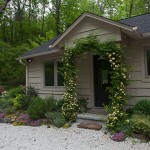 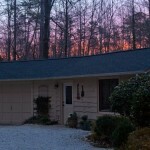 Perhaps you’ll have an opportunity to come by and visit us at the shop while you spec. 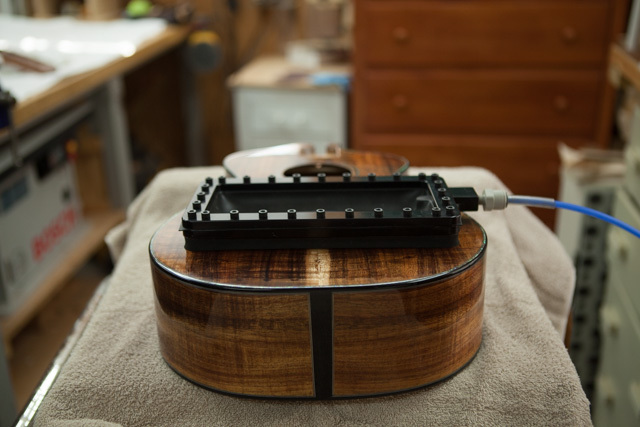 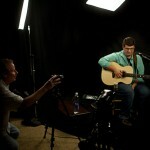 out your custom instrument! 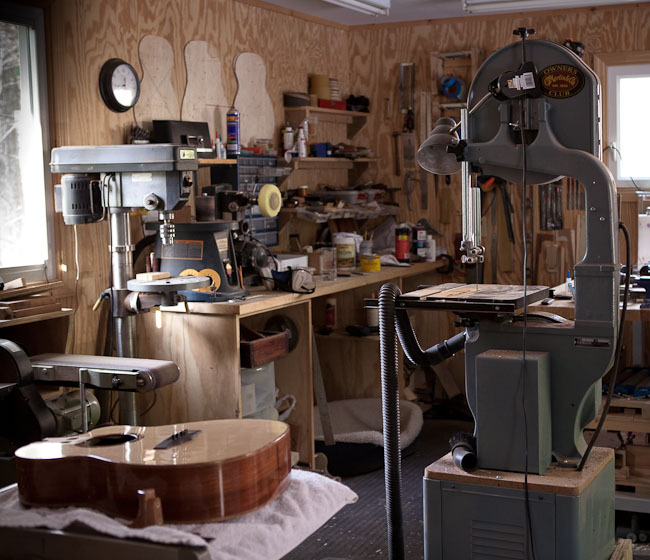 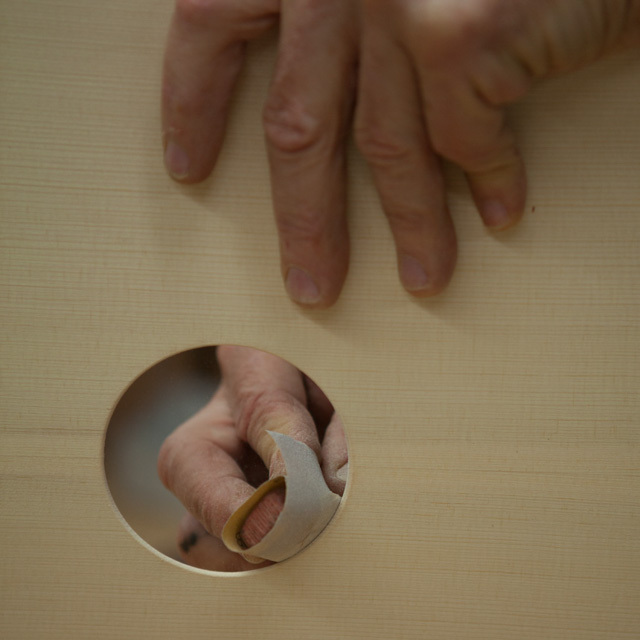 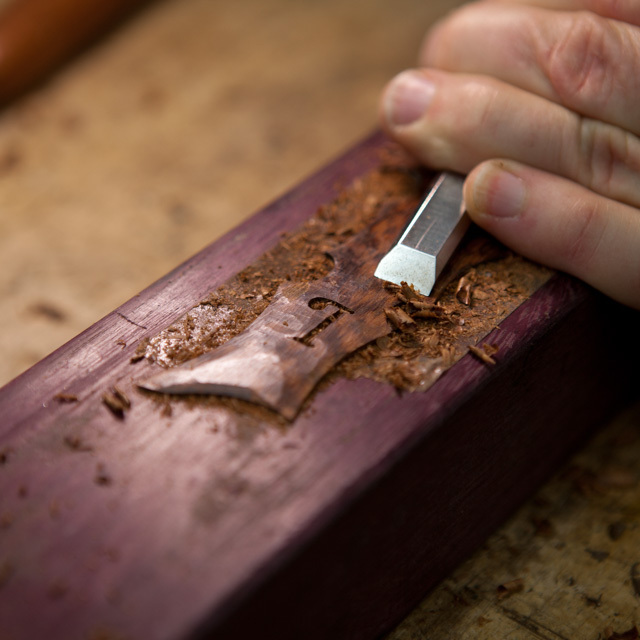 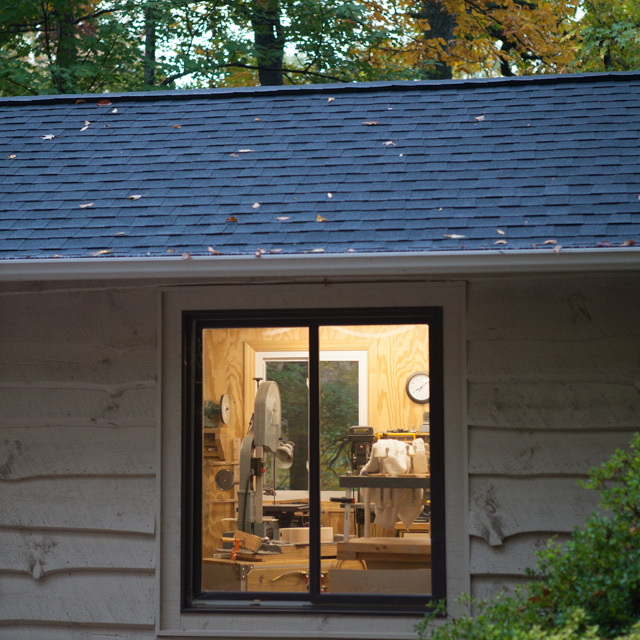 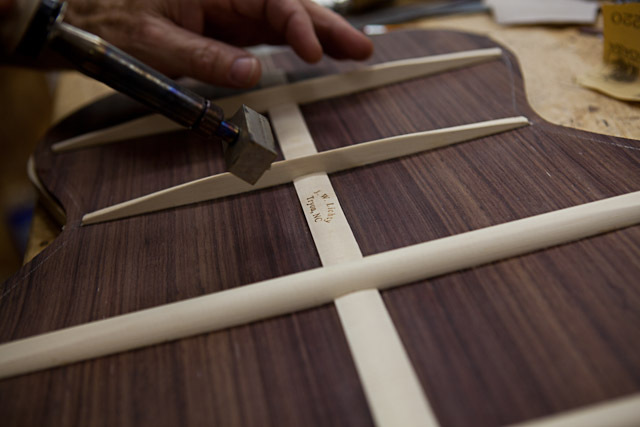 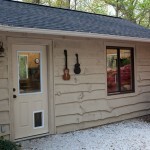 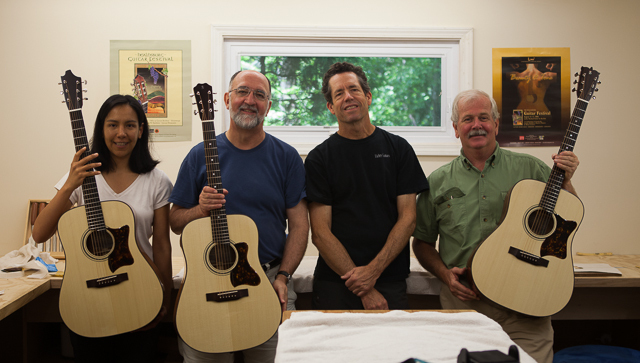 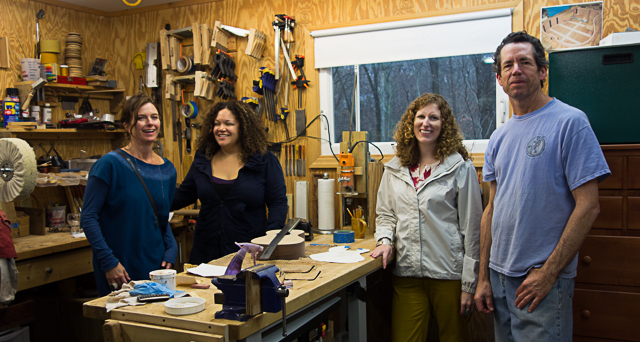 Please note: We welcome visitors to our luthier workshop however we do so – by appointment only. Please call ahead. 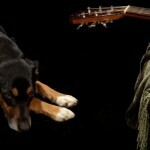 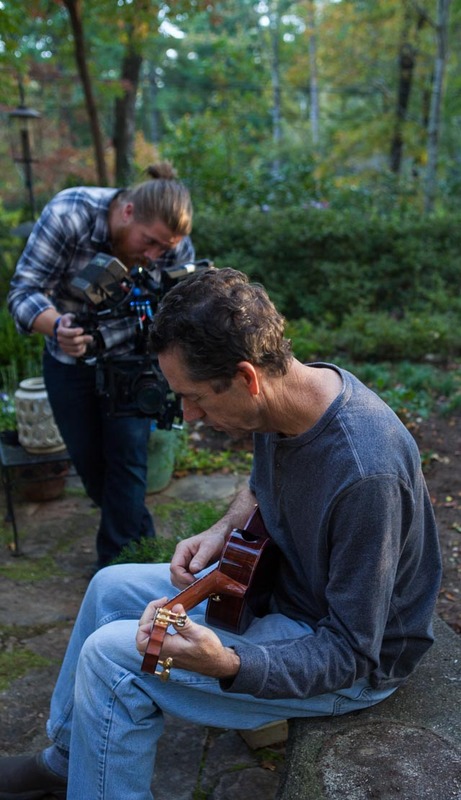 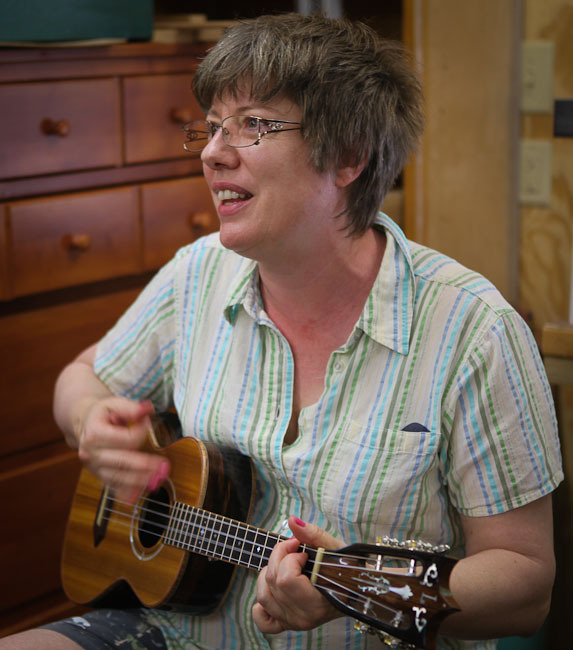 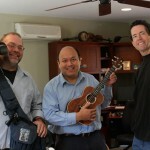 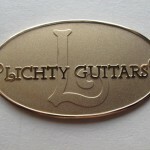 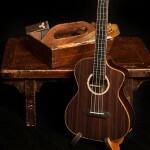 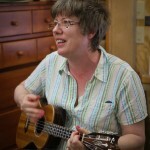 What do Lichty Guitars and Ukes sound like? 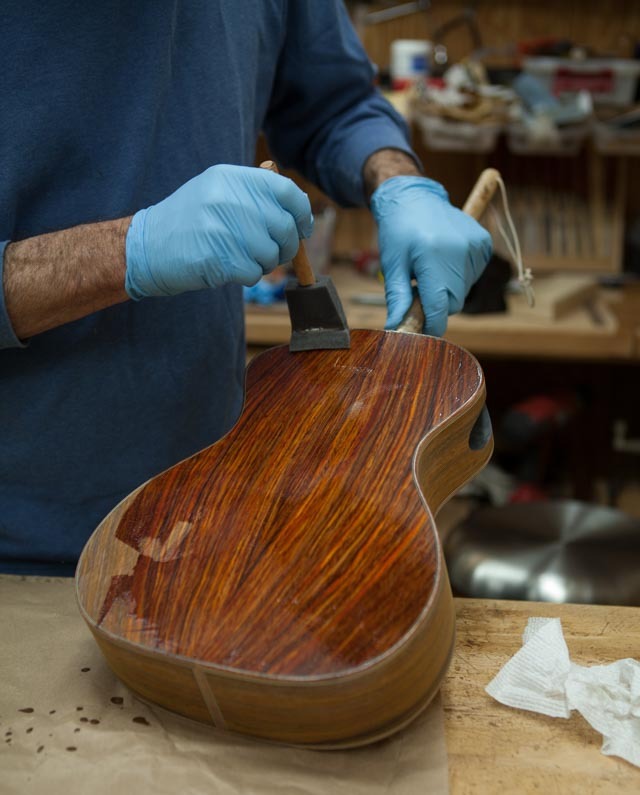 We’re glad you asked! 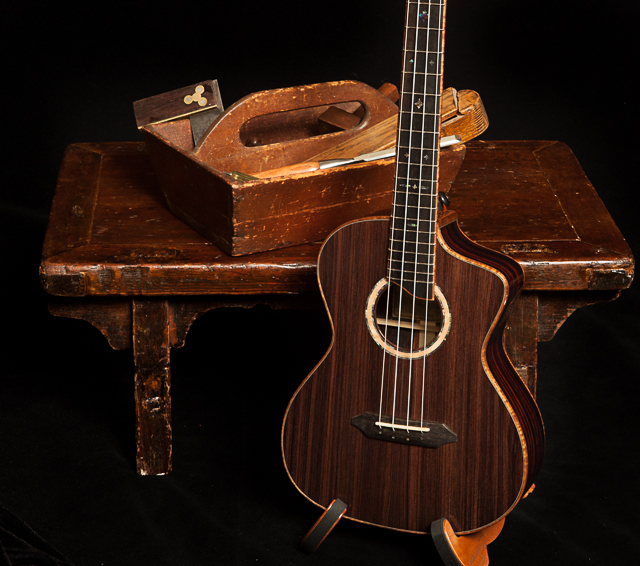 Milo Tenor Ukulele, What’s in Your Case?